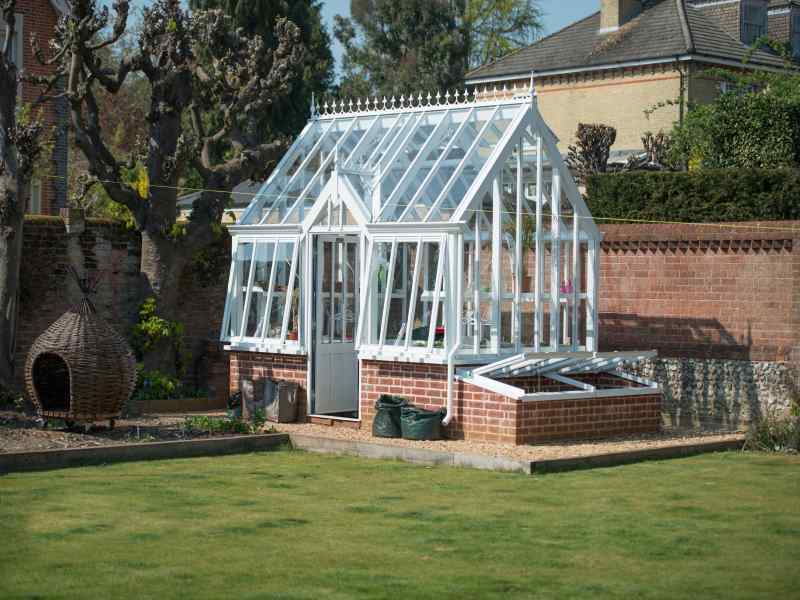 Griffin Greenhouse custom design and manufacture exquisite Greenhouses to meet customers exact requirements, but we have a small selection of standard models called the Herb Garden Collection which gives more accessible prices without any compromise on quality. 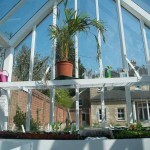 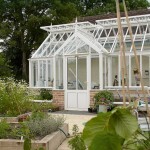 Thyme A lovely free standing Greenhouse 2.6m x 3.7m with a non-protruding porch at one side making an attractive feature. 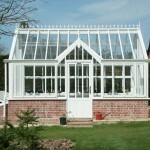 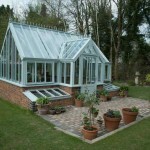 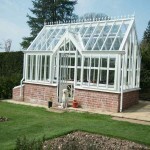 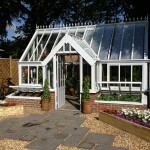 A very traditional Victorian design with narrow panes of glass and a 45 degree roof pitch. 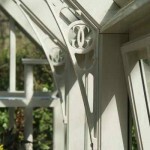 Excellent ventilation is provided by side windows to each side of the porch and roof vents to the rear side of the roof. 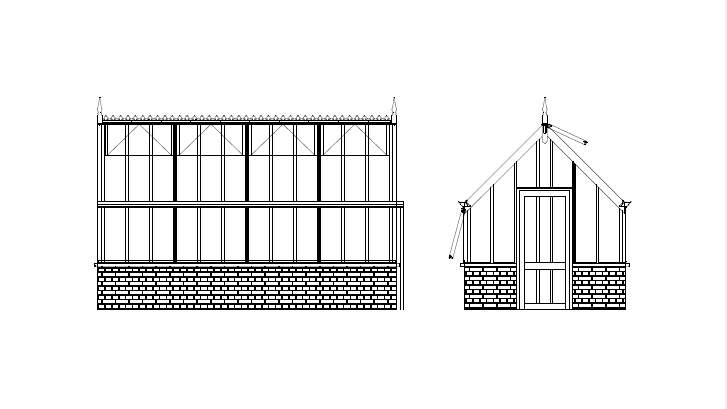 The Fennel Greenhouse is 2.6m x 4.9m, a standard Free Standing Greenhouse with lots of ventilation provided by side and roof vents. 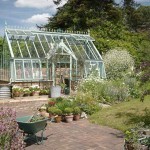 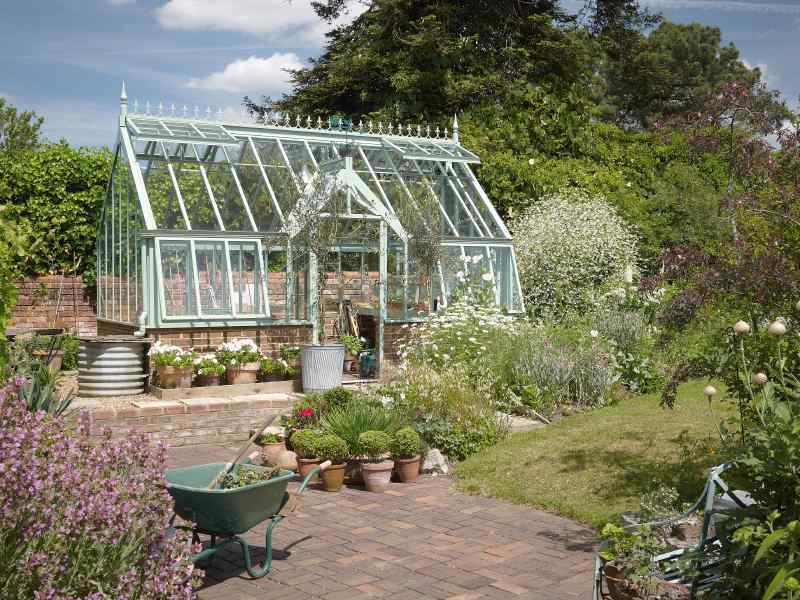 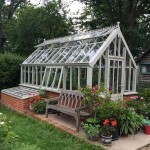 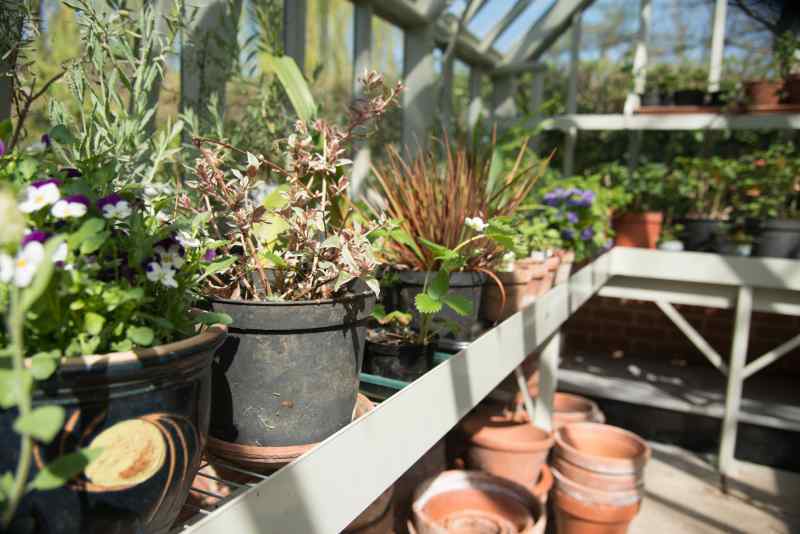 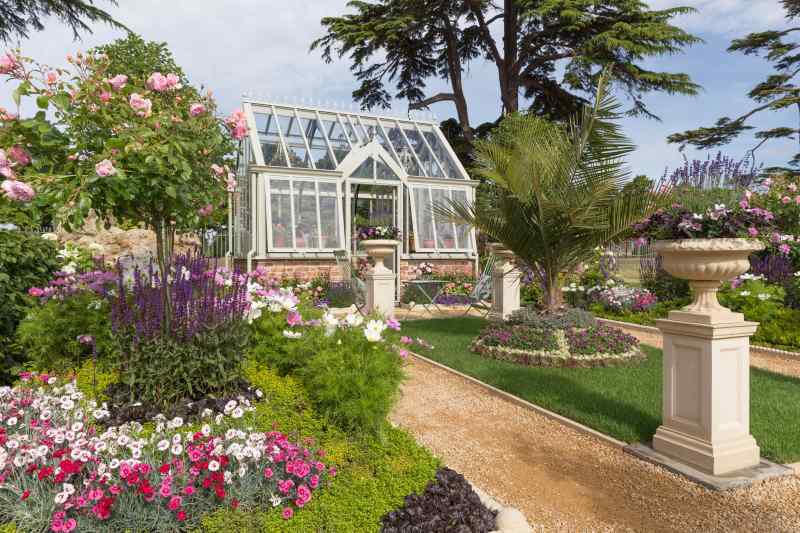 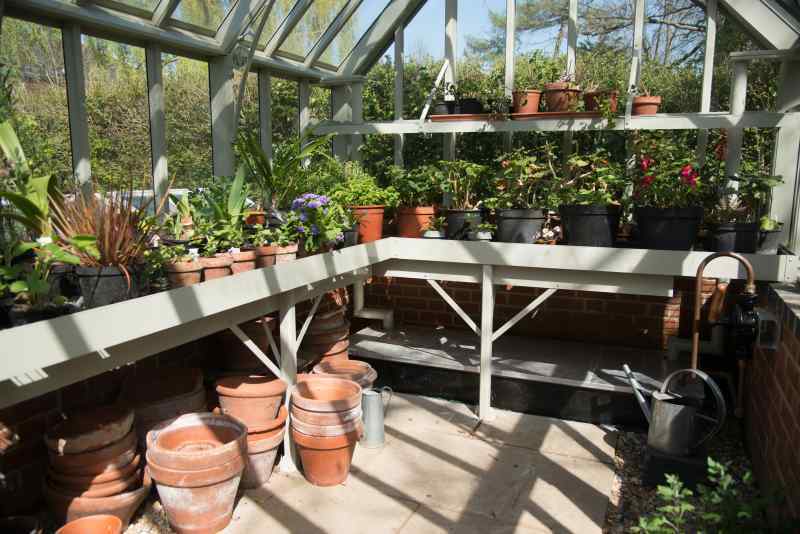 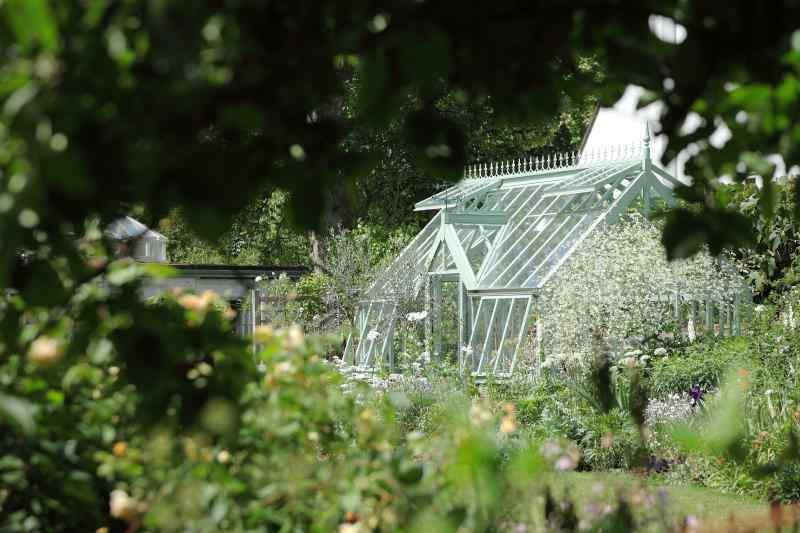 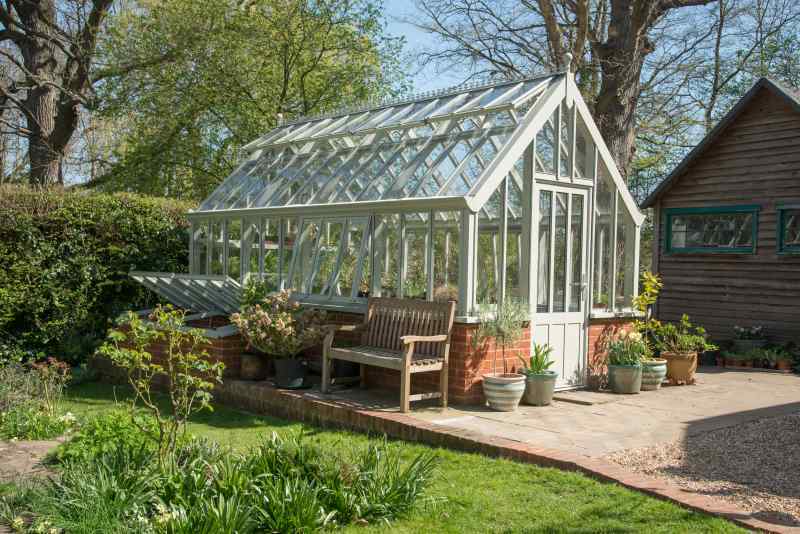 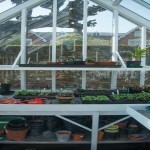 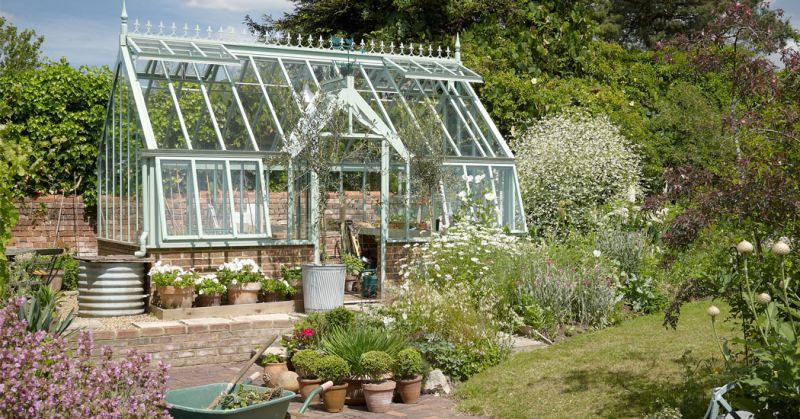 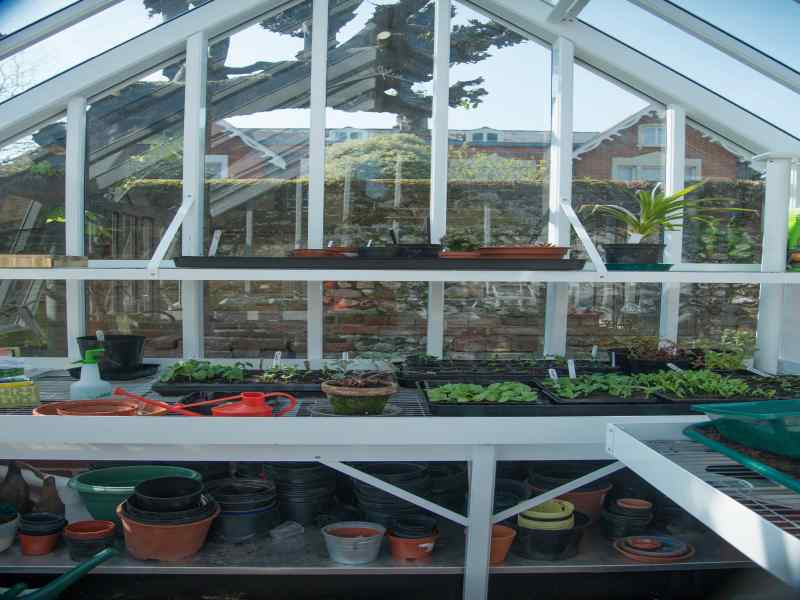 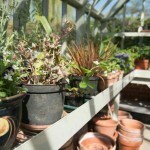 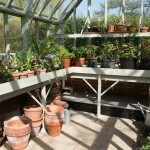 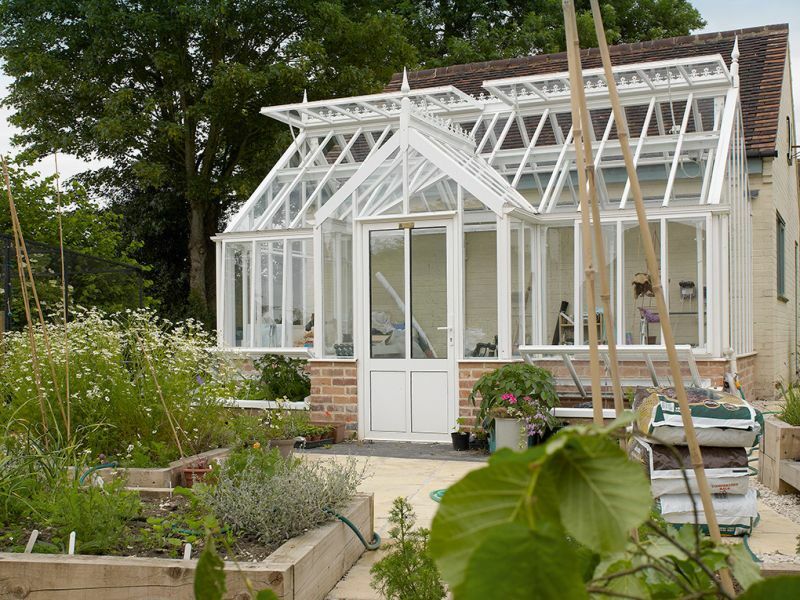 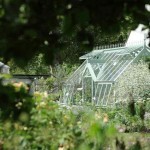 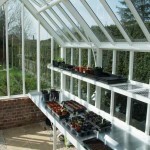 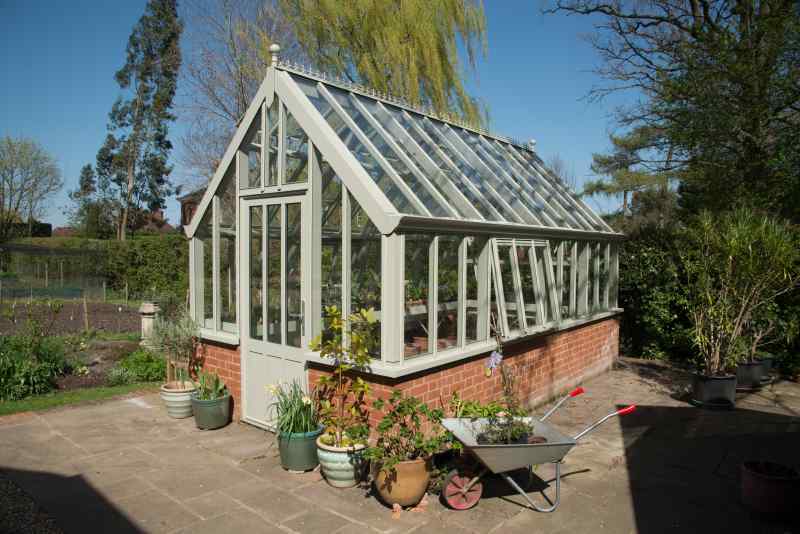 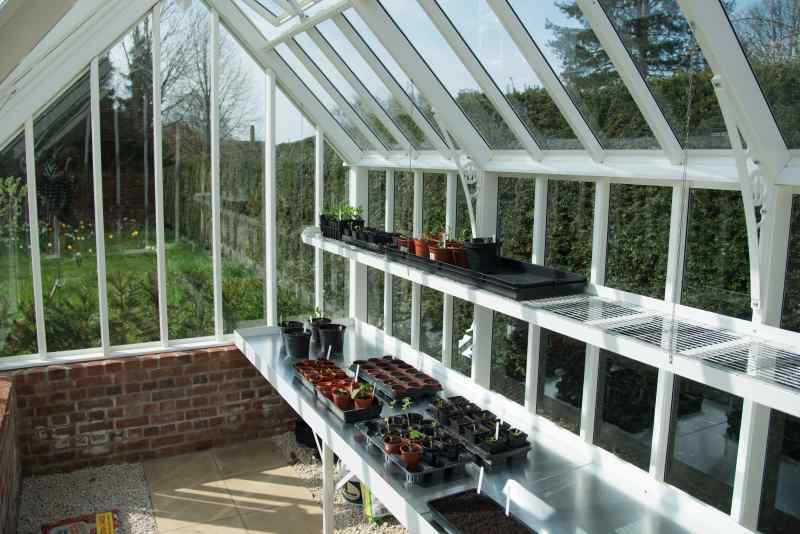 The Victorian Glazing System used with all the Herb Garden Collection means they have the look of wooden Greenhouses but without the same maintenance issues. 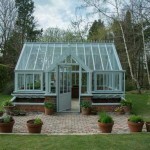 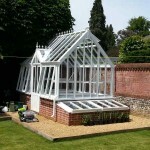 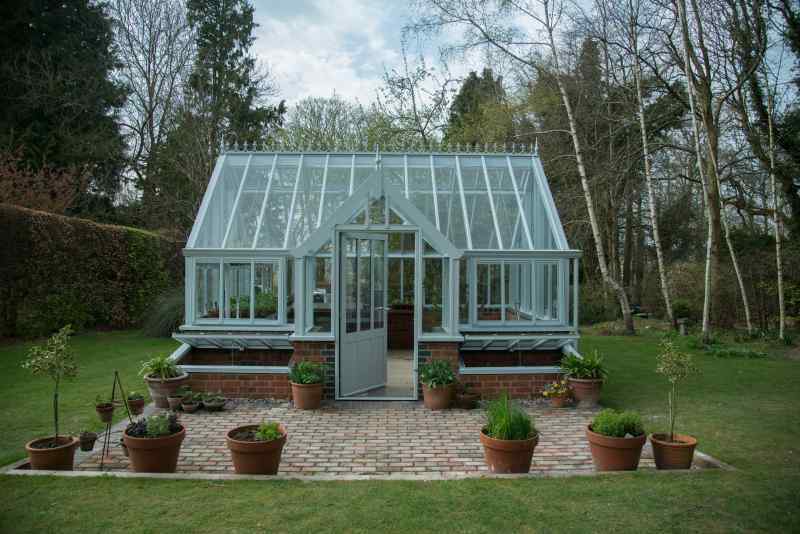 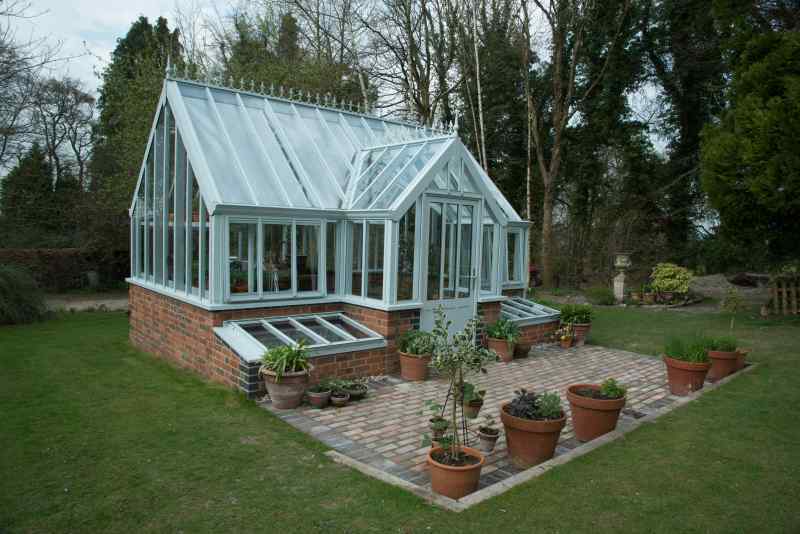 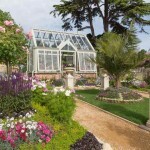 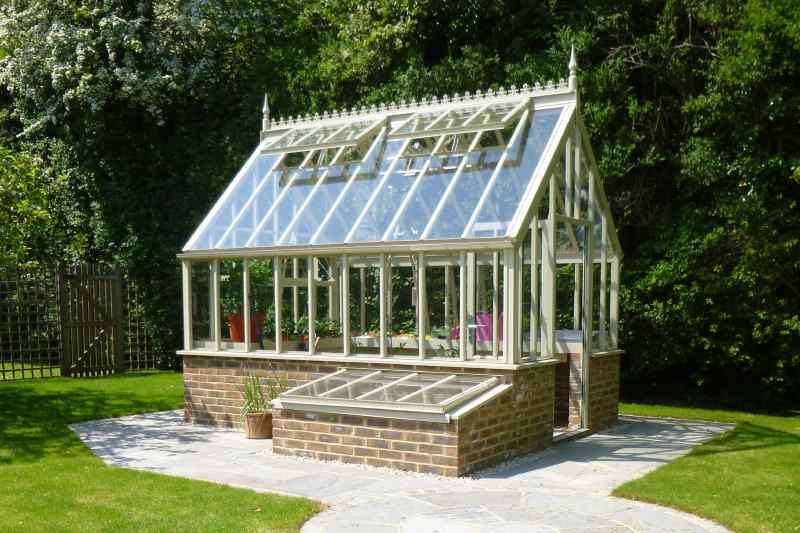 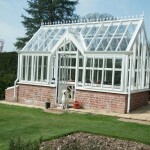 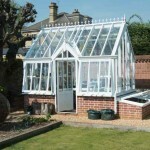 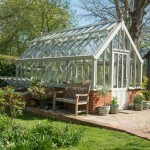 With a protruding porch, the Rosemary Greenhouse makes a beautiful and very traditional looking feature Greenhouse. 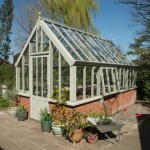 It is 3m wide and 4.9m long with a 45 degree roof and narrow panes of glass. 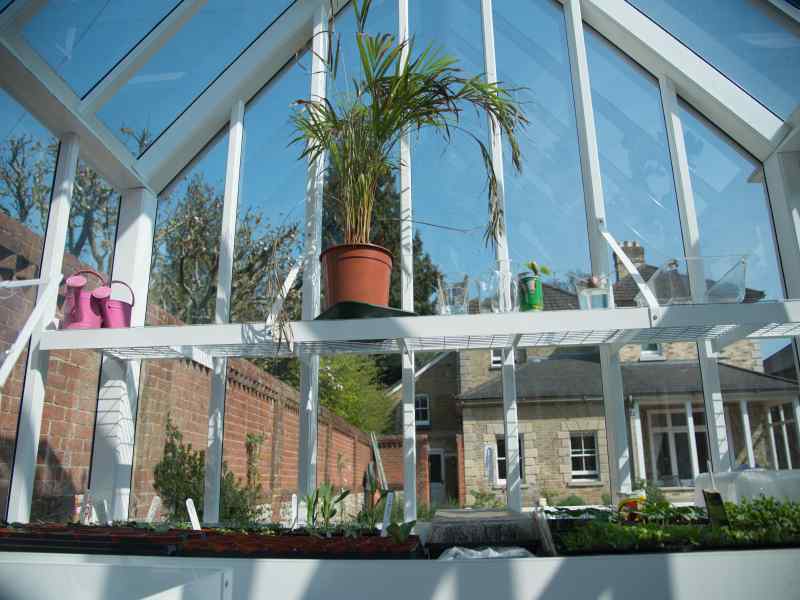 With vents to each side of the porch and a continuous roof vent to the rear side of the roof, the Rosemary Greenhouse is amply ventilated. 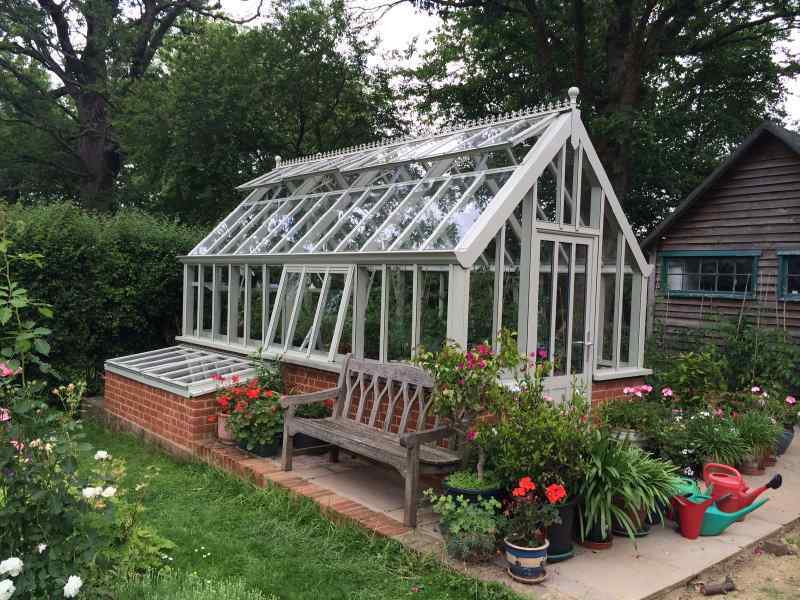 The Sorrel Greenhouse is a beautiful free standing Greenhouse 2.6m x 3.7m in a traditional Victorian design with narrow panes of glass and a 45 degree roof pitch. 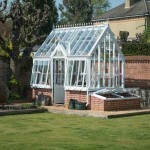 Excellent ventilation is provided by side and roof windows. 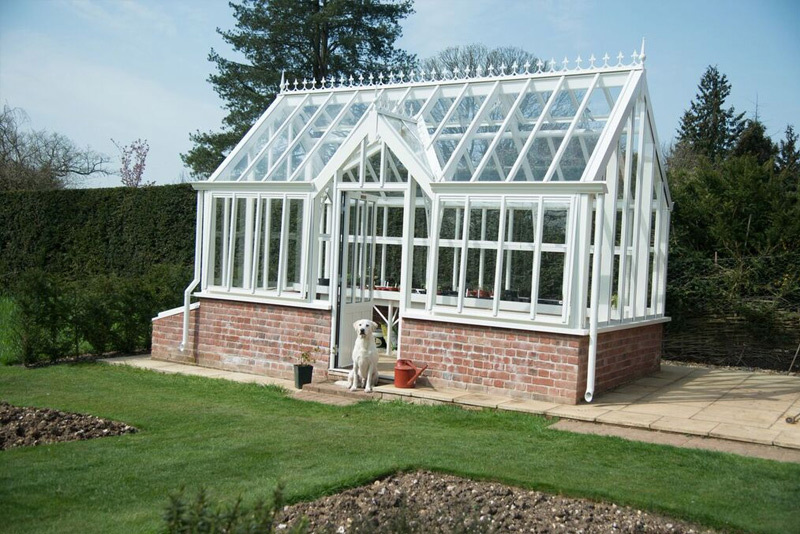 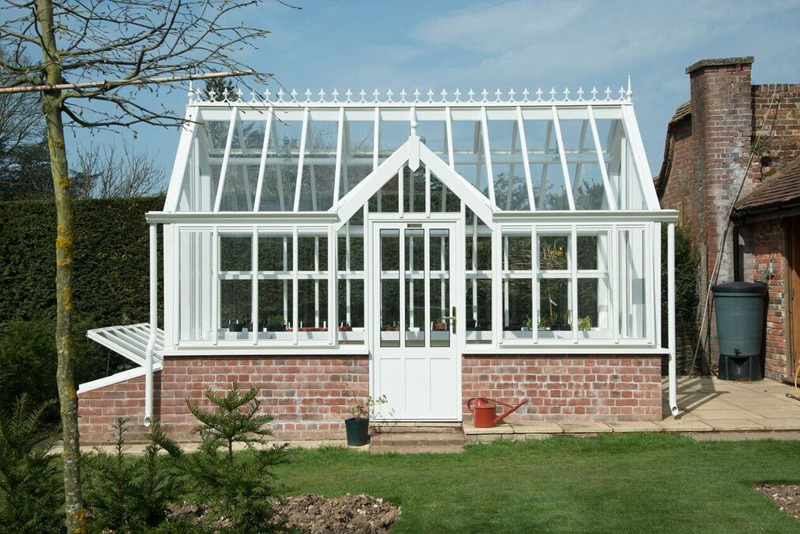 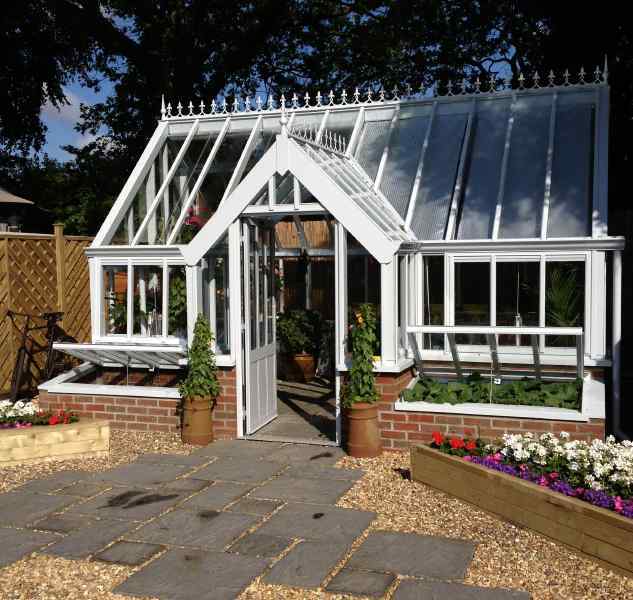 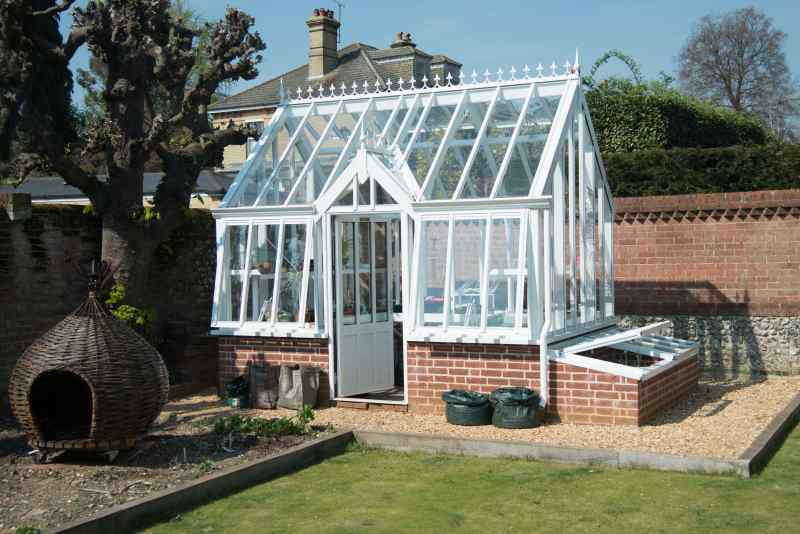 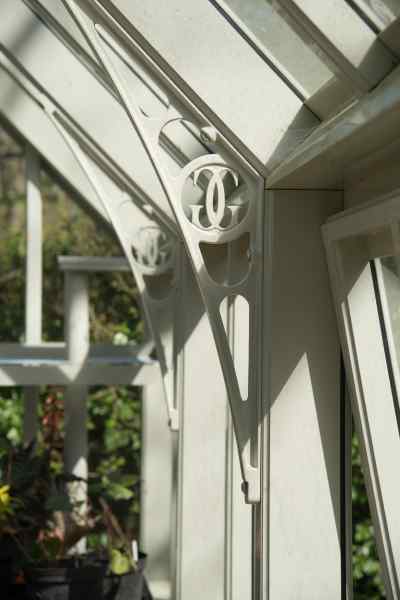 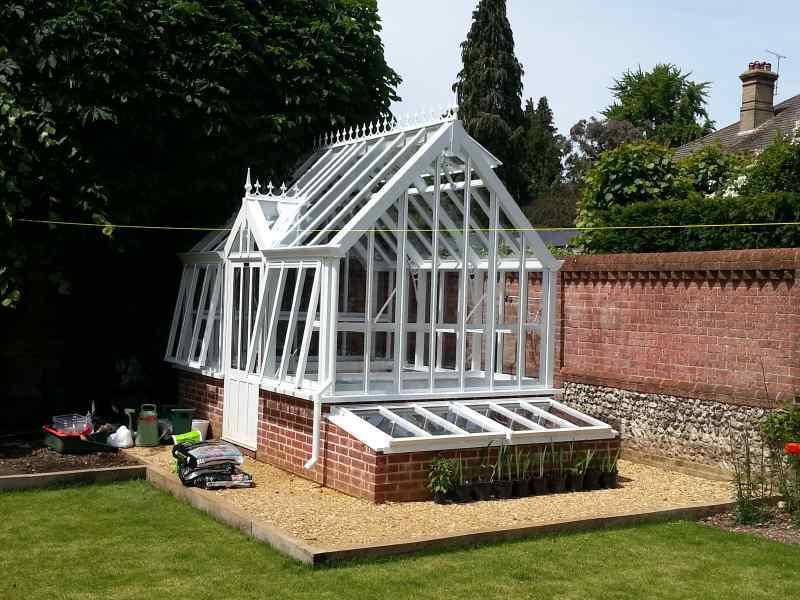 The elegant Victorian Glazing system conceals most of the construction details such as nuts and bolts leaving a Greenhouse that is as good as it looks.